A buyers design guide for Company Labels. Company Labels come in all shapes sizes and types. They range from the small identification type of label, to the high end retail label which battle for the buyer's attention in shops and stores throughout the world. 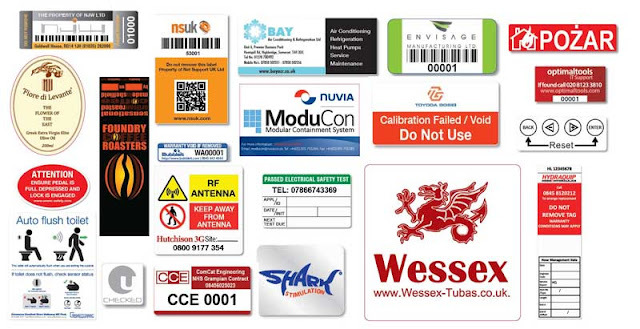 So what does the buyer need to know before designing or purchasing a Company Label. When designing a label think simple, do not overcrowd a label, and use your words efficiently. Incorporate symbols or barcodes to give information wear possible. Technology is changing all the time and the use of QR codes are now an option to give greater information more effectively. Talk to your printer about the print process they use and any restrictions that may affect the design. Choosing the right process for you design is important and sometimes low cost printing processes will mean some label designs may need adjustments or even a complete redesign. 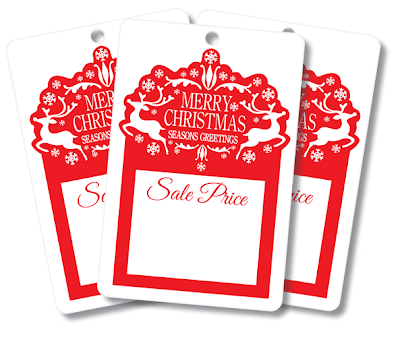 Use a speciallist printer where possible as it could cost you more........for example if you choose a 'Printer' who usually produces high end retail labels - for a asset or test type of label, his overheads will normally be higher than a specialist printer who's equipment is right for the job. Always check with your Printer if they require CMYK or Spot Colour artwork and if colour matching is important make sure it is mentioned at the start before ordering. Choose your font style carefully, as some font styles may not print well at small sizes or if inverted.